As soon as jackets come out, I am ready for hot chocolate. This is a perfect cloudy cold day for a cup of healthy hot chocolate. 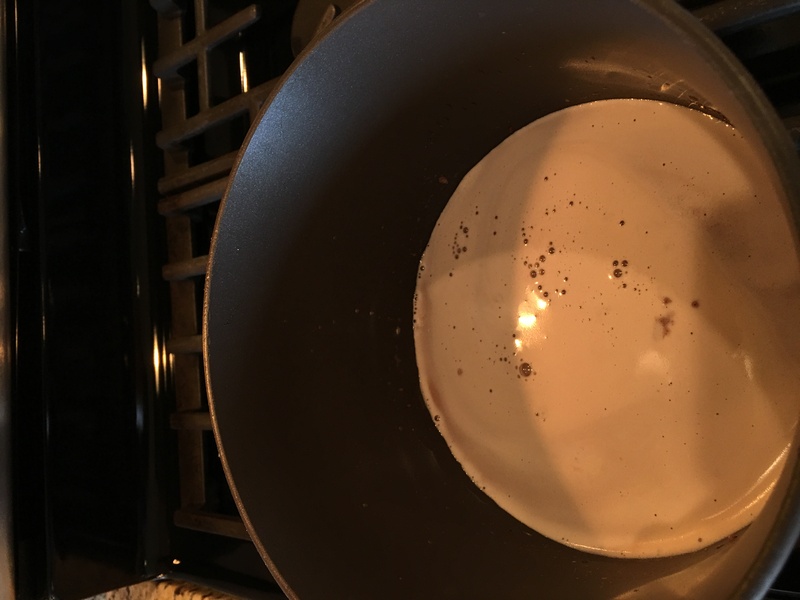 Hot chocolate has been a favorite of mine since I was a child. It really doesn’t get much better than curling up on a sofa with a cup of hot chocolate, a fire close by and a good book or a Lifetime Movie – or one of the older Star Wars movies. I have been catching up with the Star Wars movies in preparation of seeing the upcoming release, Star Wars: Episode VII – The Force Awakens. 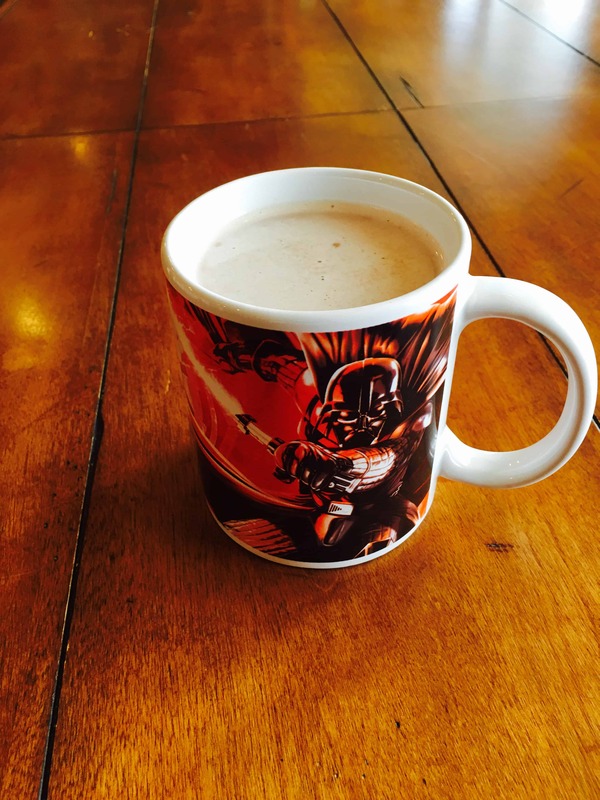 Hence, the celebration of the new Star Wars movie via my son’s favorite hot chocolate mug. I’ve tried, really tried, but sorry, Star Wars still isn’t on my favorite 100 movies of all time list. My favorite go-to hot chocolate doesn’t fit very well with my current nutrition goals. This past year I have worked hard to reduce my refined sugar intake significantly, which directly affects my hot chocolate days. 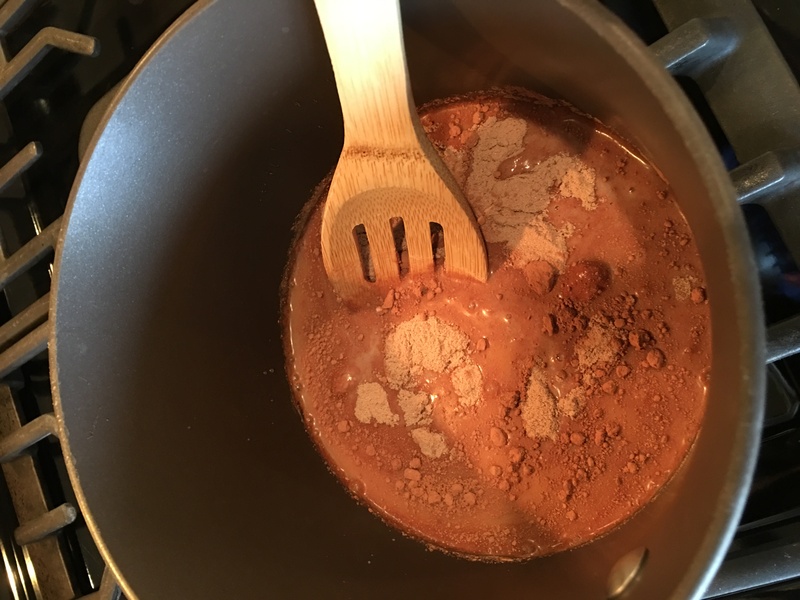 Rather than give up hot chocolate all together, I have been on the hunt for a great tasting, healthy hot chocolate recipe. 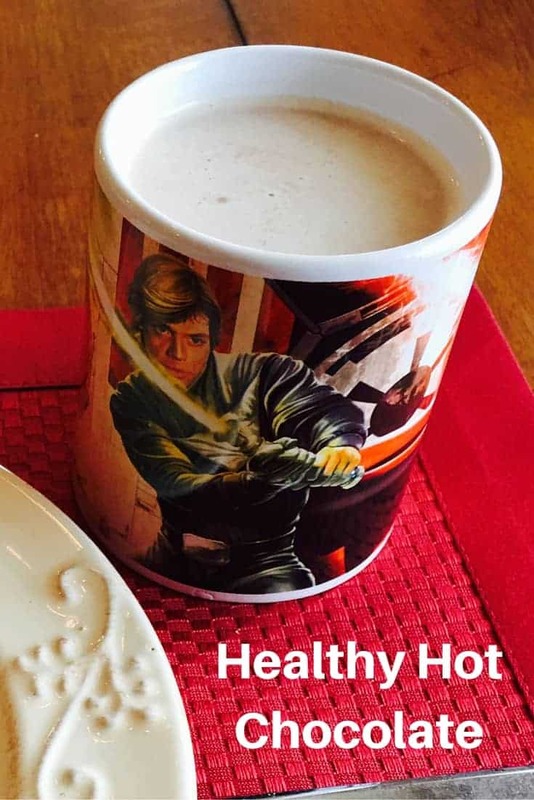 After trying a few, this healthy hot chocolate is one I can enjoy and not feel guilty about. 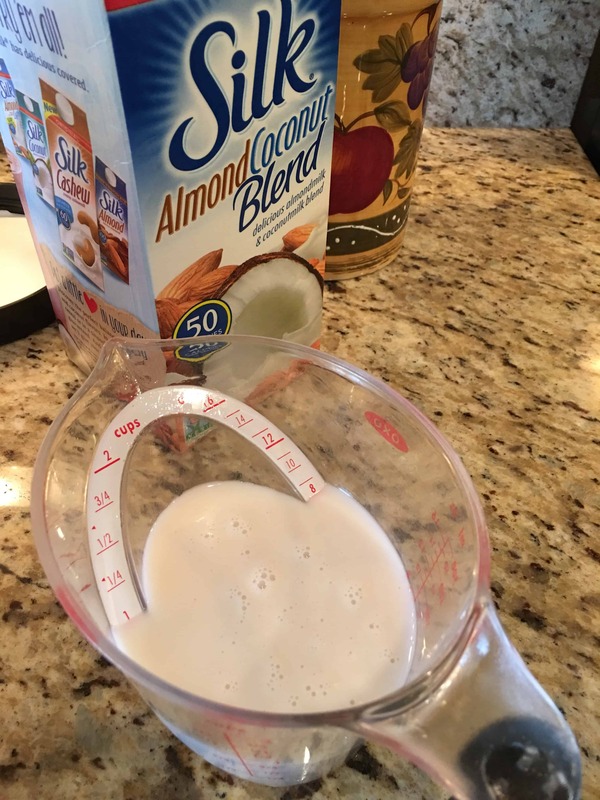 It is packed with protein with such a rich, creamy taste. 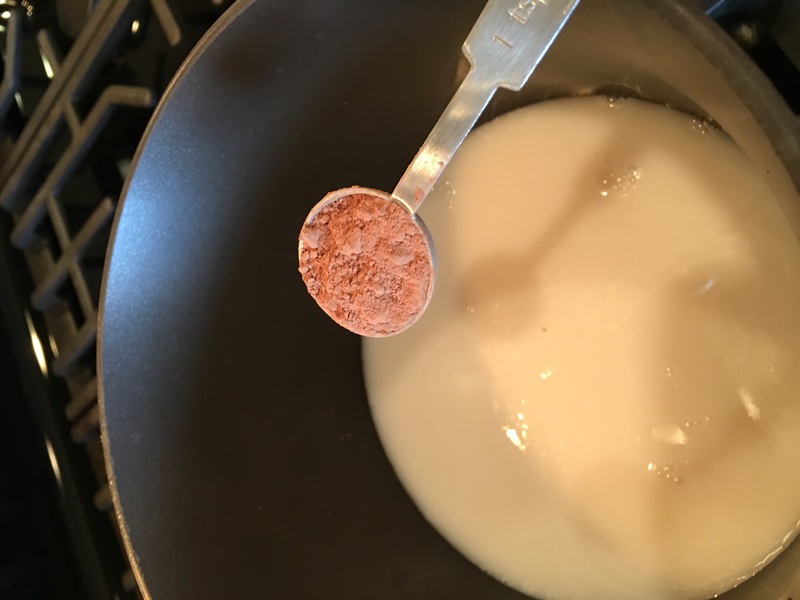 A few ingredients with a few minutes of prep and viola` you will be comfy somewhere enjoying a guilt free healthy hot chocolate! 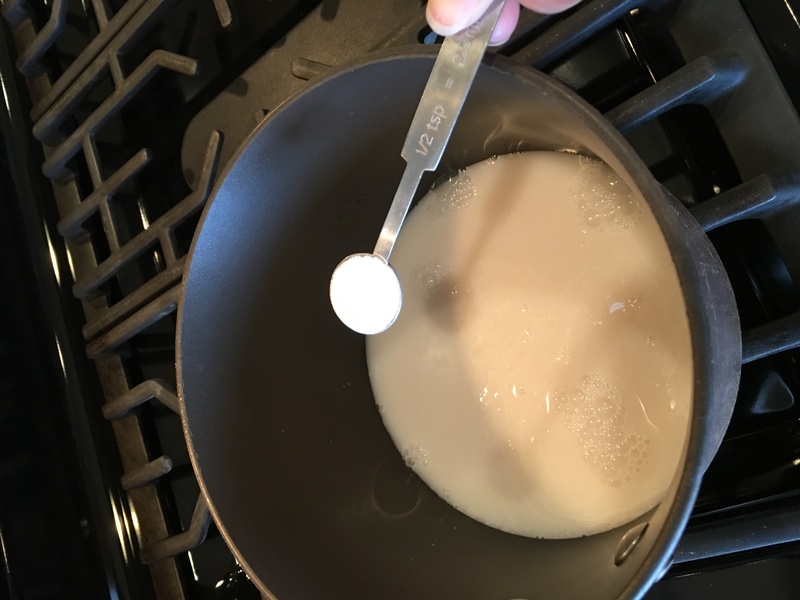 Whisk ingredients in a saucepan on medium heat until warm. Pour into your favorite mug. 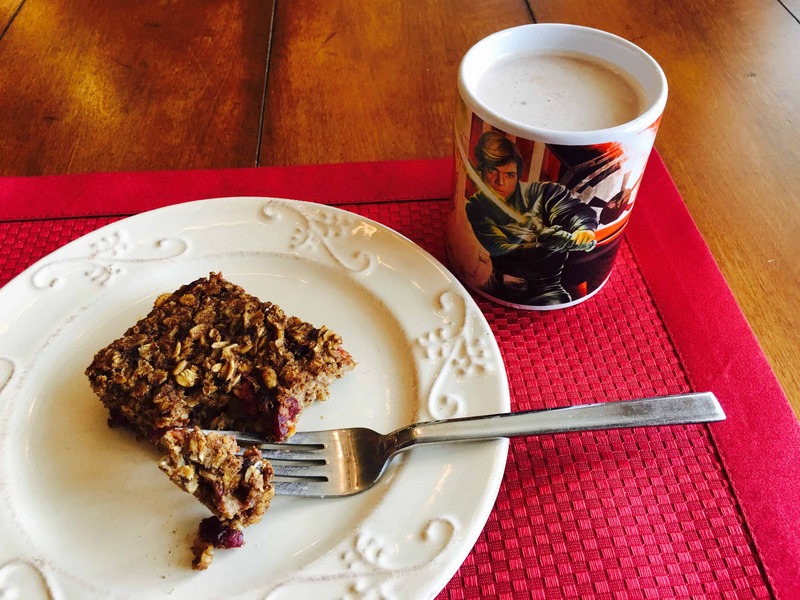 Grab a piece of the Pumpkin-Cranberry Oatmeal Bar for a perfect combination for breakfast, snack or dessert! With this healthy hot chocolate in hand, all that’s left now is to choose that good book or movie.